Ocean Gardener is an NGO founded in 2016, and dedicated to coral reef education. It has been funded over the desire to use our 20 years experience in Coral Farming, in Indonesia, to use these coral farm for education purpose. At the end of the last century, we created the first commercial coral mariculture farms in Indonesia, to allow coastal community a living out of their reefs. 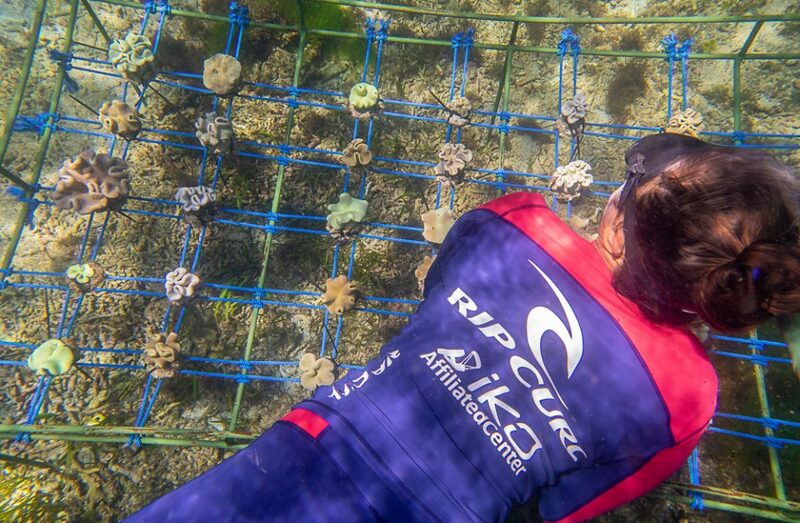 What is sustainable coral farming? 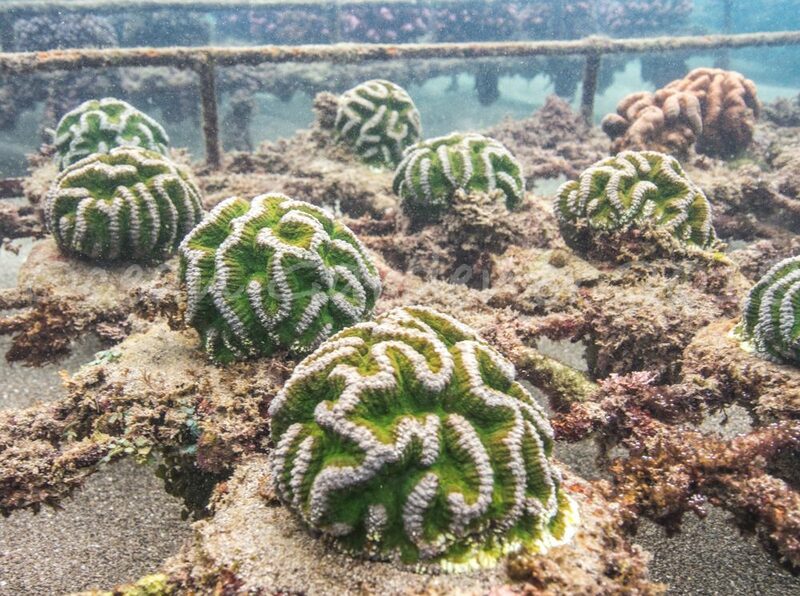 Sustainable Coral Farming, is the practise of farming using principle of ecology, the study of relationship between organisms and their environment. Farming the right species in the right environment. It helps coastal communities to receive income from maintaining and gardening the ocean the same way they do on land. Part of the coral harvested are used to restore other parts of the reef, other are used to sell as live aquarium specimen. Impact: We gave livelihood to thousands of coastal families around the countries, working with village cooperative, association of fisherman, to bring them income, preserve and restore their reefs. 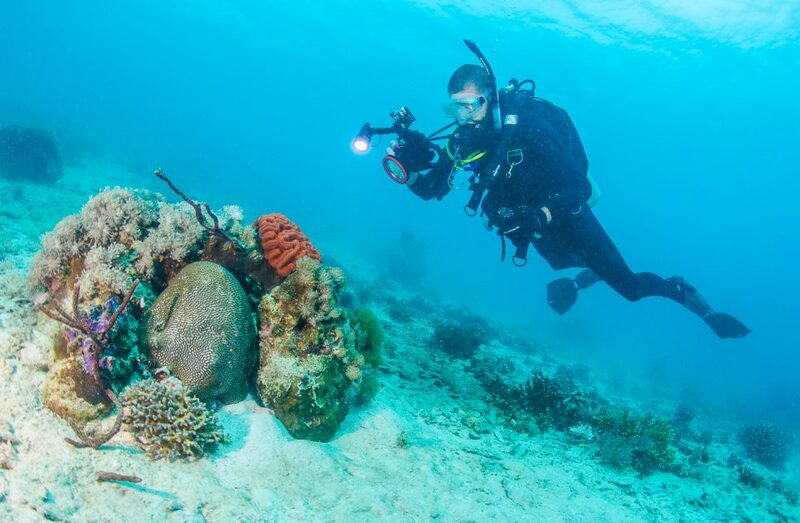 We planted tens of thousands of corals, and want to level up the speed of restoration, by using all the different restoration methods adapted to the different environment and species of corals. At the moment we are focusing about using our nursery from Sanur and Candidasa to restore Jepun dive site in Padangbai. 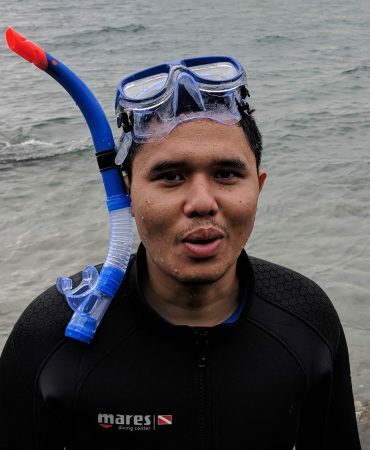 Help us restore coral reefs in Indonesia! Following the 1997-1998 economical crisis, and the considerable loss of income of most peoples in Indonesia and their costal communities. 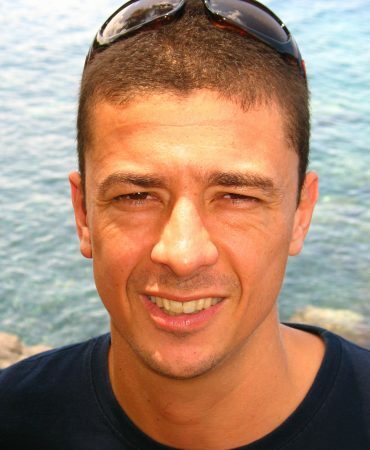 Coming with a marine aquaculture background, Vincent Chalias saw in the wild live coral collection for aquarium an opportunity to transform this industry into a farm based and give coastal community another form of income. He came up with the idea to mariculture these corals, so they didn’t need to be taken from the reef anymore. 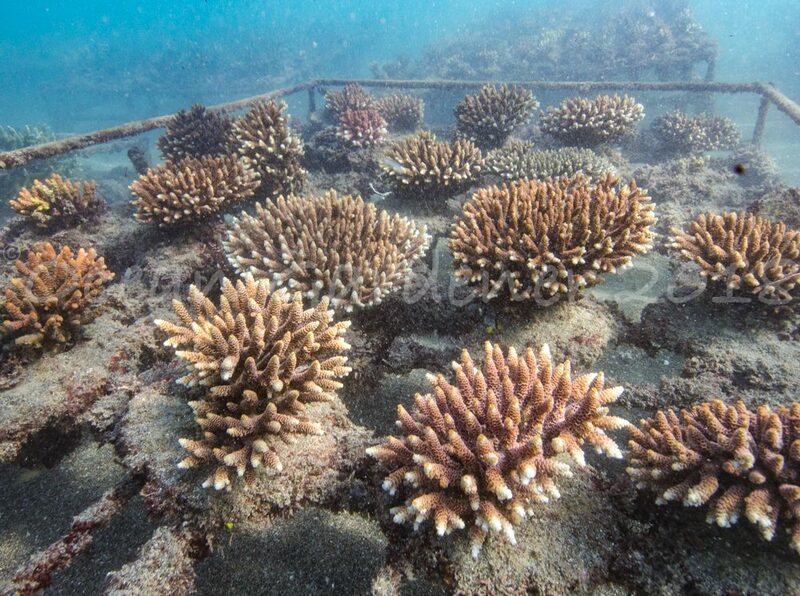 And we could also use these produced corals to replant and restore the damaged reefs. He found in Mr Manumudhita a great partner and inspiration. Mr Manumudhita, after working many years as the director of fisheries department, he retired and became the head of the Bali Fishermen associations, defending the livelihood of fishermen all over the country. The first trial was made in Nusa Dua in 2000 as the licensing and legal aspect was overcome, we quickly installed new farms in North-west Bali, and moved away from resort rich area to less developed place such as Serangan. Serangan was not developed, close to the international airport, and offered great protected location with very good ocean water quality. A lot of fishermen were looking for new prospect after their livelihood got destroyed by the Turtle island development project. Coral is our passion, educating costal communities about their reef, is the first step into protecting these reefs and our passion. Implementing coastal community with knowledge to protect and feed themselves out of their reef. Our aid plan is based on 20 years hands on experience working with Indonesian coastal communities. As the first commercial coral farm in Indonesia, the target as always been to diversify and increase the offer of corals. Thus giving us a tremendous experience in all different coral reef habitat, with all the different genus of corals. While other restoration efforts only concentrated in a couple genus. 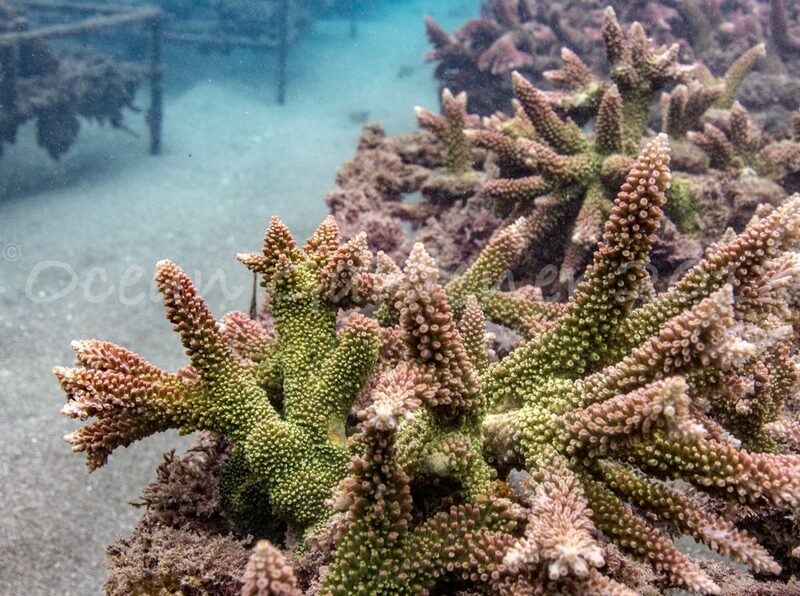 Until now we are still the only farm producing certain types of corals such as soft corals, which a very important components of certain reef habitat, and a key player in reef restoration efforts. Become an Ocean Gardener Coral Diver Today! 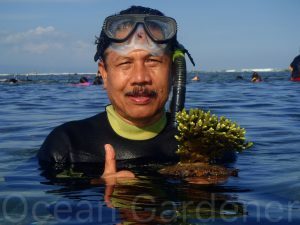 Ocean Gardener is the non-profit division of Bali Aquarium, which was the first commercial coral mariculture registered company in Indonesia (2002). They both have over 20 years experience into farming coral in Indonesia. 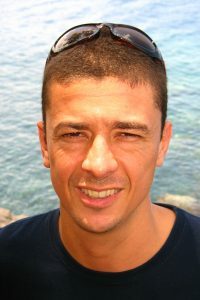 The idea is to opened this tremendous experience to the whole world and educate as many peoples as possible to protect as many reefs as possible. 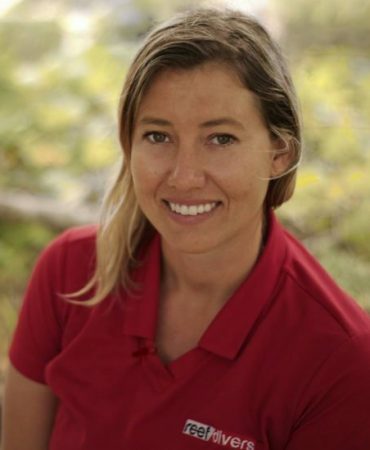 Since 2017, we joined with Nicole Helgason from reefdivers.io, she developed a comprehensive divers training material to teach divers about coral and reef restoration. Murex resort Manado and Bangka: the first diving resort in North Sulawesi, they dedicated their philosophy into protecting environment in their area. They’ve been a great supporter of Ocean Gardener and the first place to hold certified instructors. Ultra Coral Australia research, is our Australian Partner. 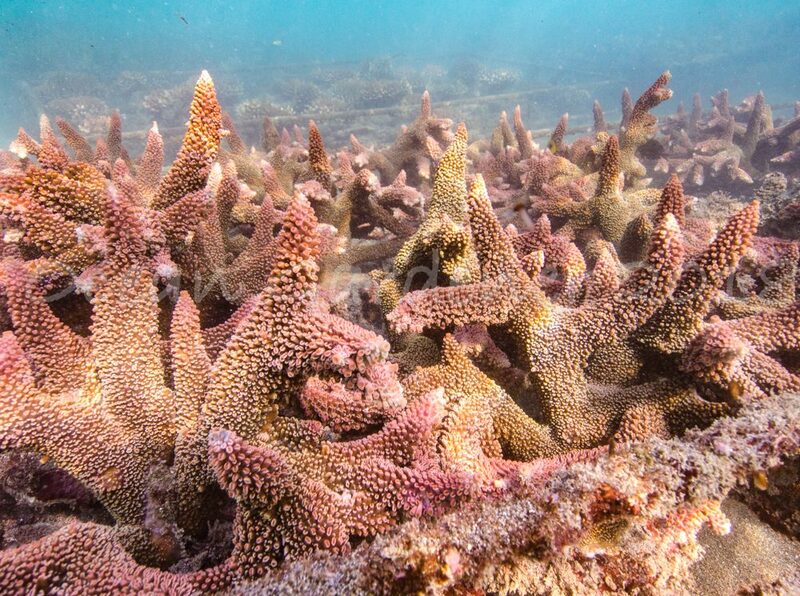 This company specialised in Reef science, Crown of Thorn Starfish programs, coral reproduction, coral translocation and soon to be the first Australian Mariculture facility. CoralMorphologic is our US partner, that is specialised in the study of Urban corals, reef restoration, reef translocation and any scientific work in Miami, Florida. TritonLab is a chemical German company specialised in Seawater analysis using ICP Known as Inductively Coupled Plasma – Optical Emission Spectrometry (ICP-OES) is a sophisticated analytical technique for measuring a broad spectrum of macro and trace elements. It does this by splitting your water sample into component atoms suspended in a fiery 10 000°C plasma. ICP-OES delivers a detailed snapshot of macro and trace elements from a single sample preparation* with each element measured thousands of times in a pass. They will provide free water analysis of our water testing. Coming from the first legal commercial farm in Indonesia, we are completely legal, we have all the licenses necessary to engage in this activity. Corals on annex 2 of the CITES convention (Convention on international trade of endangered species), thus their collection, transport, trade are regulated.